Game night is fun regardless of the setting. Families can enjoy a cozy evening playing a board game near a crackling fire or take a beach vacation from good to great with a nightly competition. Whatever the setting, here is a mix of 10 new and classic board games that bring families closer. Ticket to Ride is an upbeat easy-to-learn game that mimics Phileas Fogg’s trip around the world in 80 days. Celebrating its 10th anniversary, Ticket to Ride began as a North American challenge that has now exploded into other locales. Designed for two to five players, this game is appropriate for ages eight and up. Anomia is a great party game, but it can be played by as few as three people. The game asks players to recall common information, such as a dog breed. While simple recall seems easy, the game plays on a phenomenon that causes the brain to freeze under pressure. When competitors try to find the right word, a fast-paced, loud, good time is had by all. Anomia is appropriate for those over 12. Not technically a board game, Anomia uses cards. It is time to revisit a classic. Clue was first released in 1949, but it continues to top the list of fun family games, even having spawned a cult movie with the same name. Clue uses strategy and the process of elimination to determine how a crime was committed. It is most fun when played by three to six players. The manufacturer suggests eight as a minimum age. Rollick is a party game that turns charades on its head. Instead of one team member acting out something for other team members to guess, the entire team except one guesser acts out a word or concept. While the premise is not difficult, conflicting acting skills cause confusion and raucous laughter ensues. The app Words with Friends has resurrected Scrabble’s popularity. You probably already own a copy of this game that debuted in 1948. It is time to climb into the attic and dust off an old favorite. Not only does Scrabble use strategy, but it’s a great vocabulary booster. Scrabble is best for players who are at least 10 years old. Pandemic is a cooperative game in which players must work together to beat the game. Although players are not in competition, the game is still addictive. If you win, you can change the parameters to make the game more difficult, and if you lose, you will want to try to save the world again. Forbidden Island is similar to Pandemic, but since it takes about half as long to play, it may be better suited for a younger audience. Both games suggest that players be at least 10 years old. First released in 1933, Monopoly will reveal the true nature of your family members. One will want to give up hours or even days early, and at least one will become intent on bankrupting the others. Monopoly’s continued popularity arises from family memories of epic games waged in the past. Why not make another memory the next time your family is trapped inside due to inclement weather? Monopoly requires some significant time and is best for players over eight years old. Word on the Street is a twist on Scrabble. Instead of playing solo, Word on the Street uses a team approach to facilitate finding the right word. Two teams compete to find words in a given category and move letters from the “median” onto their side of the street. The original version suggests that players be at least 10, but Word on the Street Junior is perfect for younger kids. Players wager on which answer will be the questioner’s favorite. This game invites hilarity since the funniest answers usually win. The makers suggest that players be at least eight years old. Resistance is a game of deception, strategy, and alliances. Players work together to undermine an evil empire, but they can’t really trust each other. Within the resistance are spies. Players must figure out which of them are not loyal to the cause, or the mission will fail. The manufacturer recommends that players be at least 13 years old. 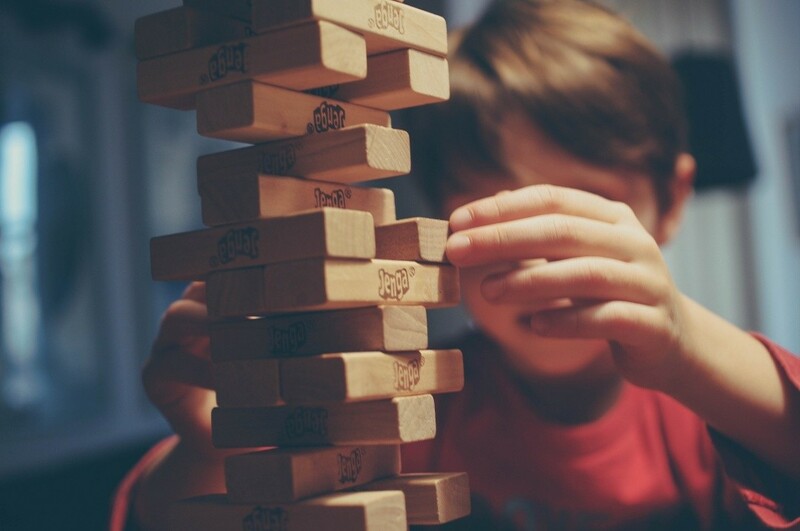 Having a family game night is one of the best ways to unplug and have fun together. The bonds formed during these regular forays into family-centered amusement will last a lifetime. So choose one of these popular games and get playing.